Mixing cocaine and alcohol can mean "dicing with death"
A Dublin coroner has said cocaine abuse is rife in the city, describing the drug as "the biggest killer" of all. Doctor Kieran Geraghty was speaking at the inquest of two teenagers who drowned when they went swimming after taking cocaine and ecstacy. Shane Coughlan and David White were both 18 when they went missing on 25 February 2007 after failing to return from a trip to a shop for cigarettes in the early hours. Their bodies were found in the Grand Canal close to their homes at Clondalkin, a suburb west of Dublin, after a huge hunt for the missing youths. Their inquest found that both men had taken ecstasy and cocaine, which may have led them to decide to go swimming in the icy water to cool down, according to the State Pathologist Dr Marie Cassidy's report into their deaths. "Ecstasy is a stimulant and may cause anxiety, excitement, which may result in rash and foolish behaviour," the pathologist said. Dr Cassidy gave the cause of death in both cases of drowning with cocaine and ecstasy as contributory causes. Recording a death by misadventure, the court was told it was a "tragic case". But the loss of two young lives and the suffering of their family and friends is being shared by many others in Dublin. The results of a surge in cocaine and other drug abuse are now being seen weekly in the city's coroners' courts. Dublin County Coroner, Dr Kieran Geraghty, who held the inquest into the two men's deaths told the hearing that the majority of cases he dealt with now were due to drug abuse, adding that cocaine was "by far the biggest killer". Cocaine toxicity was the most common cause of death in over half of all inquests into drug-related deaths heard in his court, he said. Of 47 inquests into drug-related deaths his court heard this year, 26 were linked to cocaine, 16 were heroin-related and five involved ecstasy. "By far the biggest killer is cocaine. Of the 26 cocaine-related inquests, cocaine toxicity on its own accounted for 15 deaths, while cocaine together with heroin accounted for a further six deaths," Dr Geraghty said. "We had two occasions where people took their own lives after taking cocaine and a single car crash [linked to cocaine] and now we have two deaths from drowning", he said. "I hope at least some people will pay attention to those facts and avoid drugs and avoid the company of people who use drugs," the coroner added. "Looking back on 2007 there has been a large number of inquests into drug-related deaths. And nearly all of the deaths involved young people. "In 2007, I opened seven inquests into deaths where people were shot to death, and five where they were stabbed to death, and some of these involved a drug connection," said the coroner. Drug abuse came to prominence in Ireland with a heroin problem particularly in disadvantaged city centre areas of Dublin in the 1970s. Today, the inner-city slums have made way for expensive apartments, and in a similar social transformation, drug abuse is no longer an affliction of only the poor. The country just recently witnessed the passing of one of Ireland's most famous celebrity models, Katy French, who had been using cocaine before she fell into a coma. Her cause of death awaits another inquest. A surge in economic fortunes in the country has brought with it an appetite for drugs with the money available to buy them. Garda and Irish customs officers have made several big seizures since Katy French's death, but detectives say that drugs are now so prevalent that while big drugs busts in the past would affect prices on the street, cocaine and other narcotics are still available at a fraction of the price they fetched only a few years ago. But the drugs boom comes at a huge cost - in young lives and families destroyed. 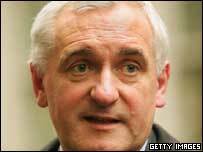 Only this month, Taoiseach Bertie Ahern admitted for the first time that drug abuse was widespread in Ireland. Drug rehabilitation experts say however that Ireland's drugs policy is outdated and geared towards helping only heroin addicts, with little being done to deal with the complex psychological problems of cocaine use which is now more prevalent and found in all social classes. A high rate of alcohol abuse, particularly among young people, makes Ireland more vulnerable to drugs, say some experts, with people more willing to try drugs which they might not do when sober. 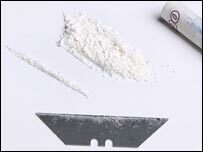 The image of cocaine among some as a fashionable rather than lethal drug increases the risk. But mixing cocaine and alcohol, even in small quantities, can mean dicing with death through the production of cocoethylene in the blood which can cause havoc with electrical impulses in the heart. The complications which can result from taking even small amounts of ecstasy or cocaine with alcohol can cause chaos to the heart, leading to heart failure in otherwise young healthy people, and loss of oxygen to the brain causing irreversible coma and death. The mounting statistics at coroners' inquests across the country include many who may not have thought themselves serious drug users, but who did not live to realise the danger of engaging in what another coroner, Professor Denis Cusack, described as Ireland's "Russian Roulette".